BFT® Hydraulic Swing Gate Operators Produce More Power For Use With Heavy Gates In Residential And Light Commercial Environments. BFT® Hydraulic Swing Gate Operators are solidly made for long lasting durability and dependability. Gate operators provide safety and security to facilities requiring gated access by electronically controlling gates. 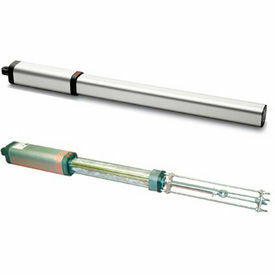 120v AC hydraulic motor can handle gates up to 700 lbs. and 15' long. Used for apartments, farms, subdivisions, office buildings, historical structures and other secure facilities. For use with Dual Gates and Single Gates. Supported leaf length is 15 feet. Includes 30-month limited warranty. 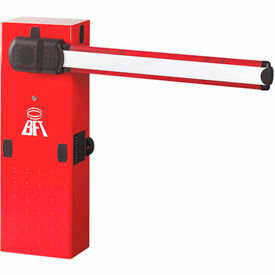 BFT® Road Barrier Gate Operators Are Used For Parking Garages, Toll Booths, Entertainment Venues, Airports And Other Frequently Accessed Traffic Control Areas. BFT® Road Barrier Gate Operators are made with aluminum and galvanized steel for long lasting durability and dependability. Barrier operators provide safety and security to facilities by efficiently managing vehicle entry without hampering traffic flow. Irreversible electromechanical operator features internal cool-down system, fast release with personalized key, and pre-drilled frame for simpler installation of accessories. Boom and boom bracket sold separately. Includes Operator, Control Board, and Receiver. For use with Barrier Arms. Available opening speeds are 2.5, 4, 6, and 8 seconds. Boom lengths are 10, 16-1/2, 20, and 26 feet. Color is Gray. Includes 30-month limited warranty. Dimensions vary per model. BFT® Sliding Gate Operators Are Designed For Moving Heavy Duty Gates Parallel To Surrounding Fencing In Industrial And Commercial Secure Facilities. BFT® Sliding Gate Operators are solidly made for long lasting durability and dependability. Gate operators provide safety and security to facilities requiring gated access by electronically controlling gates. 24v electromechanical operator features battery backup capabilities to ensure functionality during power outages. 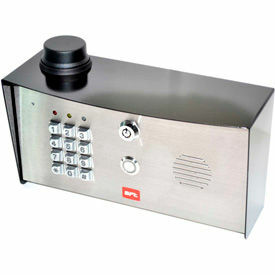 Remote control and photocells available with some models. Includes Operator, Control Board, and Rolling Code Receiver. For use with Slide Gate. Available leaf weight capacities are 1100, 1650, 2200, and 3300 lbs. Available leaf speeds are 9 and 12 m/min. Color is Gray. Includes 30-month limited warranty. BFT® Gate Operator Accessories Are Used Backup And Replacement Parts For Expanding And Customizing Gating Systems. 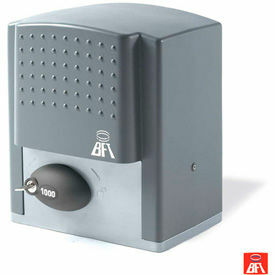 BFT® Gate Operator Accessories are solidly made for long lasting durability and dependability. Gate accessories expand the functionality of gate operators to provide safety and security for facilities requiring gated access. Available accessories include Boom Fence, Ecosol Solar Panel Kit, Galvanized Rack, Goose Neck Mount, Light Kit, Magnetic Lock Kit, Rectangular Boom, Remote Transmitter, Rubber Boom Casing, and Telescopic Round Boom. Includes 30-month limited warranty. Dimensions vary per model.